First up on last night’s double bill was Calcutta. 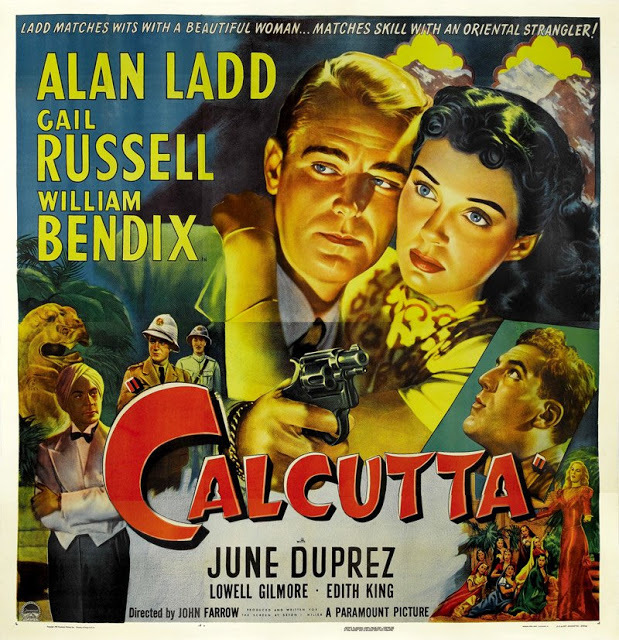 Alan Ladd and William Bendix play womanizing pilots working the route from Chungking to Calcutta. When their buddy tells them he’s getting hitched, they are skeptical but still willing to meet his beautiful young fiancee. Only the buddy ends up murdered and the pair find themselves mixed up in a jewel smuggling racket. But never mind all that, there’s really only one thing you need to know about this movie and that’s how awesome Edith King is. Her character, the lascivious Mrs. Smith, is my new role model. 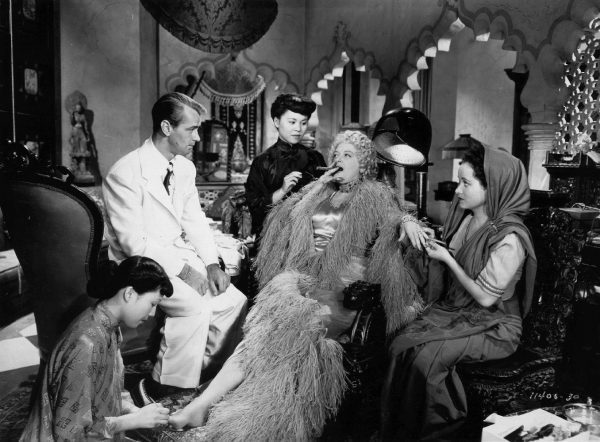 She smokes cigars, has a pet monkey that wears a turban and could have easily made Alan Ladd her pet monkey if she was a twenty years younger. If there were no other reason to love this movie, her performance would have been more than enough. Of course there are tons of other things to love about this movie. It’s beautifully shot with sumptuous sets and exotic costumes. There’s sweaty, shirtless Alan Ladd. There’s Thuggee stranglers and plenty of action. There’s a bad good girl and a good bad girl. And there’s William Bendix, who I’d watch in anything. 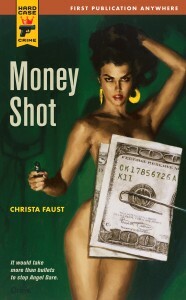 Mistress Christa says, check this one out. Next up, our B picture Backlash. How can I not love a flick that utilizes a whip font on the poster? A lawyer is found dead in his wrecked car, burned beyond recognition. Cops on the case discover that he’d been shot in the heart before the crash and grill several suspects, including his wife and her (maybe) lover. There’s an angle with a missing crook and his moll and there’s a twist ending. Sort of. More like a twist beginning, middle and ending and then a few extra twists on top of that. This film should have been called Backflash, because if you tried to play a drinking game where you had to take a shot every time there was a flashback, you’d be dead. Also, some of the twists were so ridiculous that it was hard not to laugh out loud. Particularly the business about the wife (maybe) trying to poison the lawyer and then him insisting that she just made a mistake. Twice. It was far from the worst, and I’m not sorry to have seen it, but I can’t exactly recommend it.